Larry Taylor grew up in San Antonio, Texas and got off to a bad start as a teenager. However, his mother and a few young people persuaded him to attend a revival at The Northside Baptist Church. Four services was all it took. Larry had a Damascus road type of experience with God and committed his life to Jesus Christ. This was July 22, 1955. A few weeks later a sovereign God revealed His intent for Larry Taylor to preach the gospel of Christ, who had transformed his life. Howard Payne University in Brownwood, Texas became his training ground. The gifts of an evangelist (Eph. 4:11) were evident not only to his professors but to the devoted pastors who heard him preach. In a short time Taylor became a significant voice in the field of Christian evangelism. His ministry has taken him to almost every state and to some foreign countries. In 1959 Taylor married Connie Gail Pence. 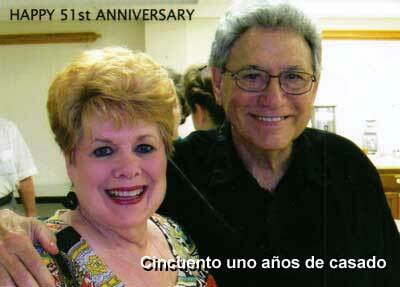 Connie has actively supported his ministry all these years. The Taylors moved to Bandera in 1971 and are active members of the First Baptist Church. In 1984 and 85, Rev. Taylor served as Secretary/Treasurer of The National Conference of Evangelists. In 1986 he was elected president of that organization and served one term. In 1986 Larry and Connie were invited to Amsterdam by the Billy Graham team for a special 9-day conference on Evangelistic ministry. In 1987 and 1988 Taylor served as president of The Conference of Texas Baptist Evangelists. 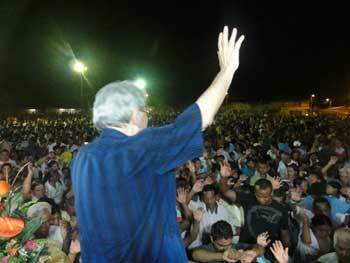 Larry Taylor is now conducting city-wide crusades in South America. 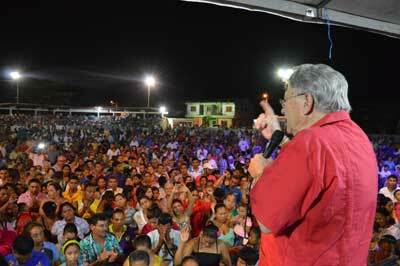 The majority of the campaigns are in Columbia. Pray for him and his team as they go.